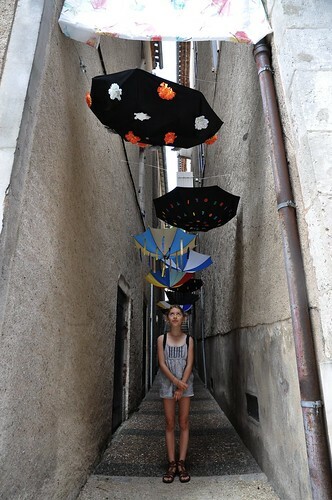 Earlier this week we visited this cute little village, Puy l'Eveque, and found quite a few surprises there besides the weekly market we intended to visit. 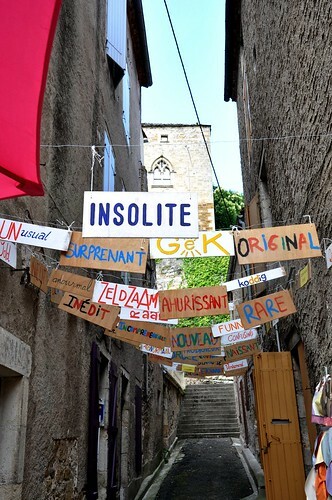 Different alleys across the village were "dressed up" in one way or another - with old shoes, umbrellas, word art, ... 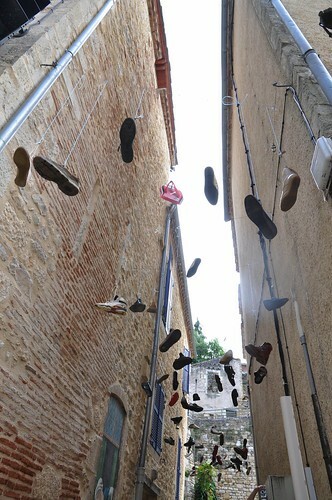 So much fun - we felt like being on a treasure hunt wondering what would turn up in the next alley. 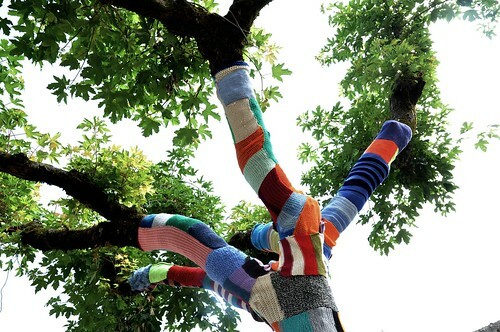 And we all loved this tree decorated with a most colorful crocheted scarf.